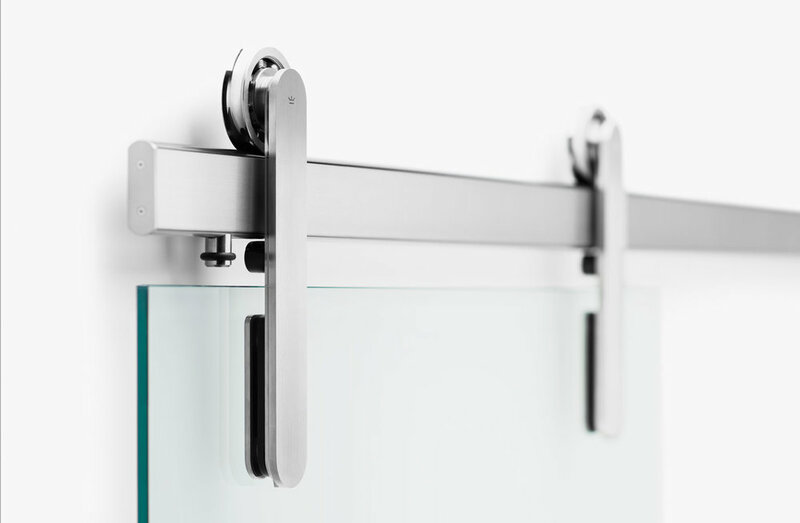 Iconic Modern Sliding Door Hardware that simply works. 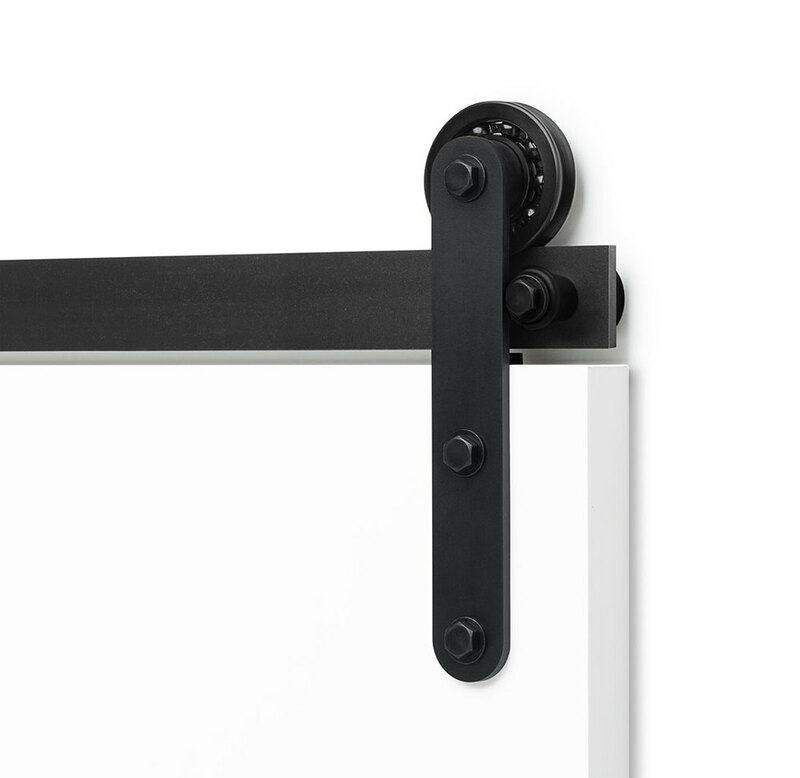 Behind Krown's innovative adjustable rail is their patent-pending Tru-Level™ System for a clean modern sliding barn door with no visible rail mounts. For doors up to 400 lbs. Hidden inside Ragnar’s track is Krown's Tru-Level System™, giving a 1/4” of wiggle room in all directions. NOW AVAILABLE for all their systems. Oregon-based, Krownlab, is constantly refining their already refined product line. Their focus on a limited line pays off in product that addresses often-heard frustrations, both functional and aesthetic. 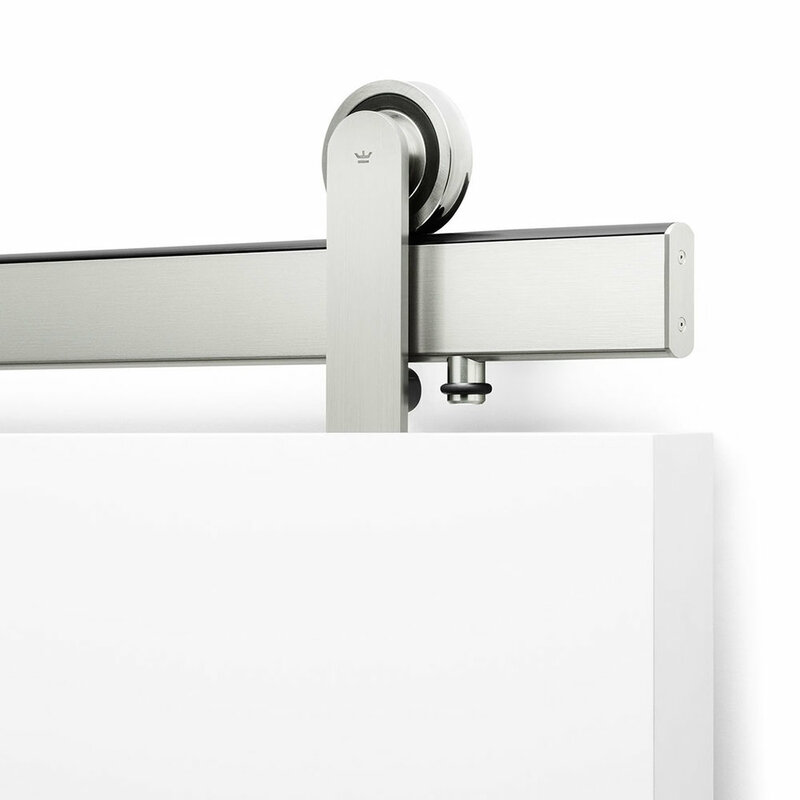 With their new easy-to-install track system they have brought their product to a level of simplicity in form and usability that makes it easy to recommend to projects of any size, from the laundry room door to the 300-room hotel. And now, with Rorik, the opportunity to provide shower enclosures makes their system a versatile choice throughout a project. 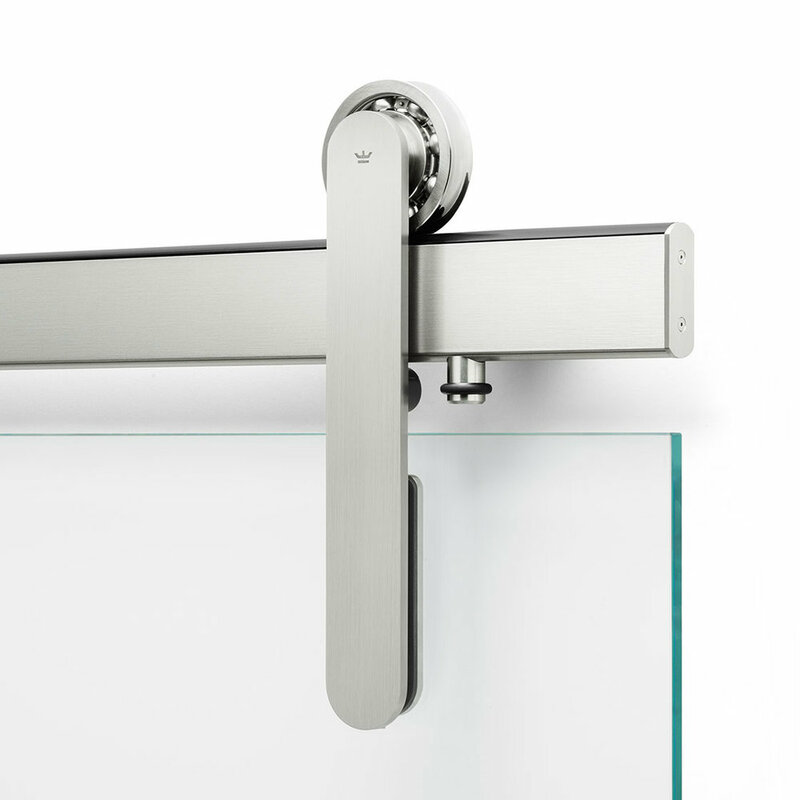 All BALDUR systems are available in Brushed Stainless Steel and Brushed Black Stainless Steel. 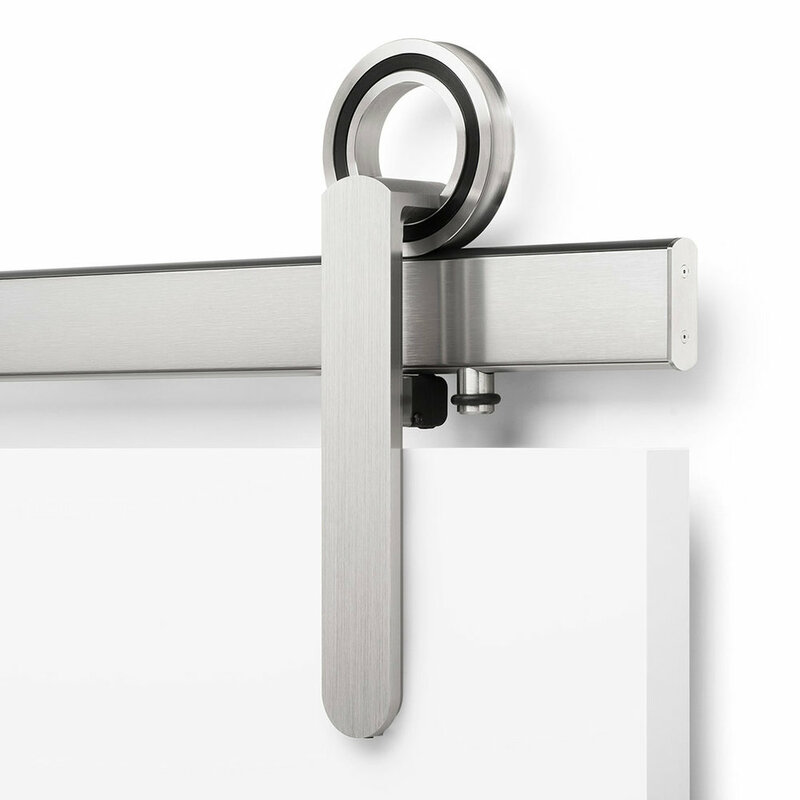 *Maximum 300 lbs for thicker doors requiring the 1-1/4" track cantilever. 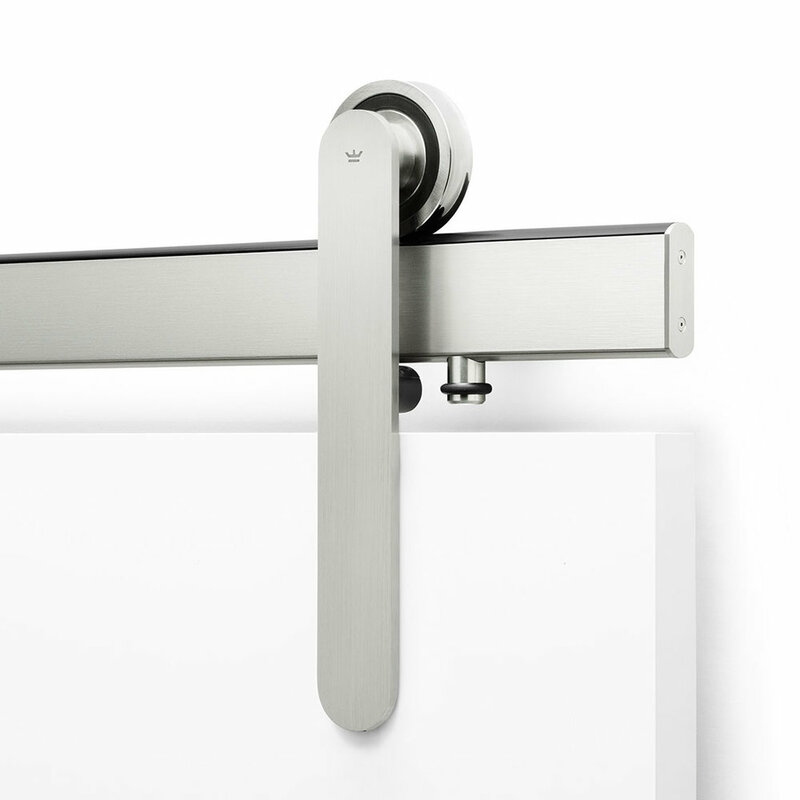 *As with BALDUR, maximum 300 lbs for thicker doors requiring the 1-1/4" track cantilever. 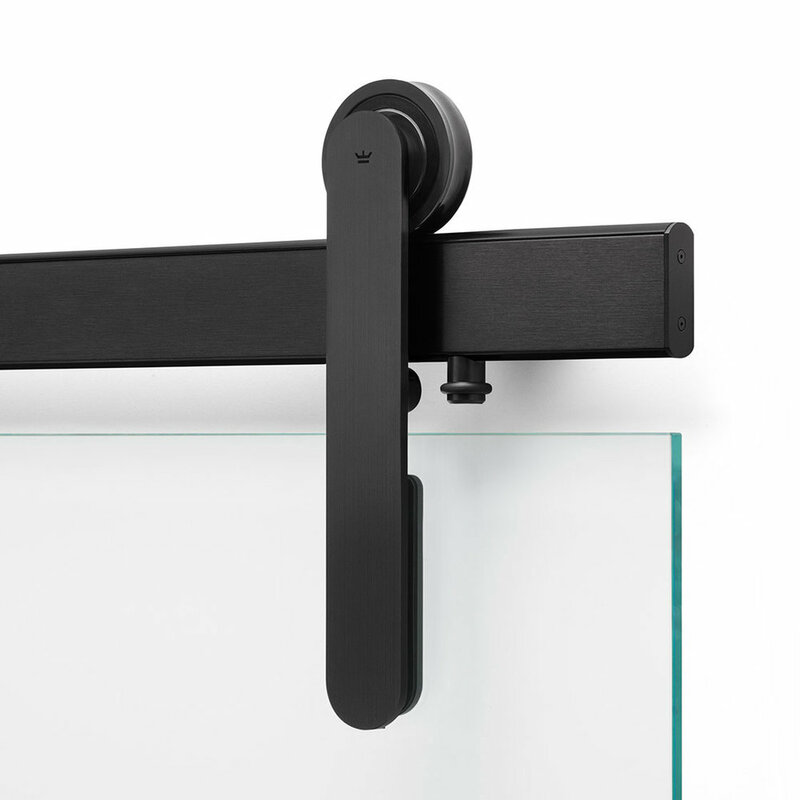 ODEN sliding door systems are available in Brushed and Matte-Black finishes. 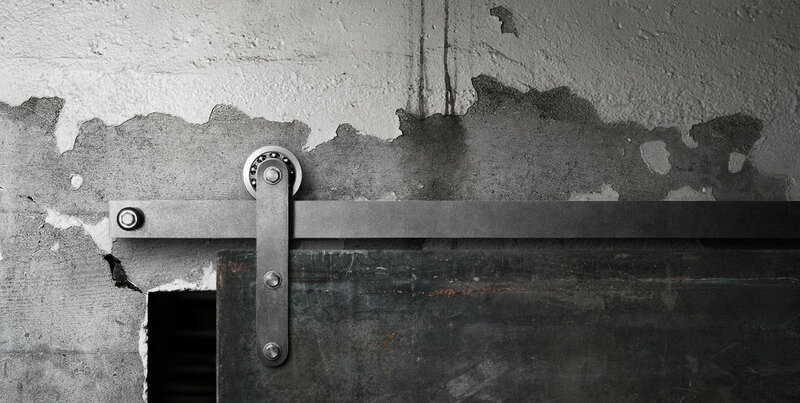 Clean design with concealed fasteners. No bolts or visible rail mounts. Unique Rail Design (Patent Pending) which allows for an up to 1/4" adjustment in all directions. 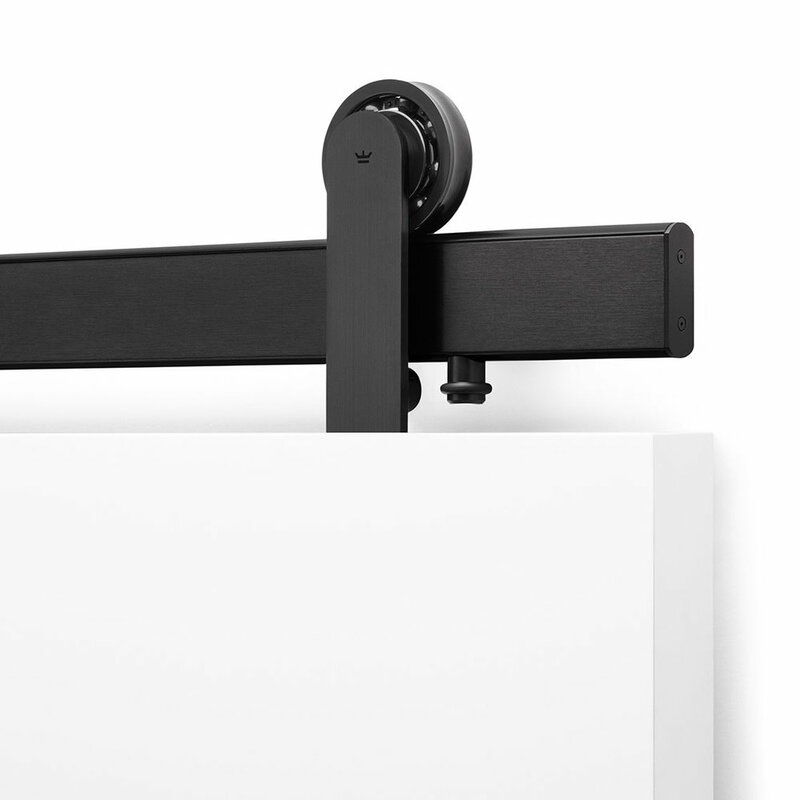 Field-adjustable Rail Stop allows for a hassle-free perfect fit. 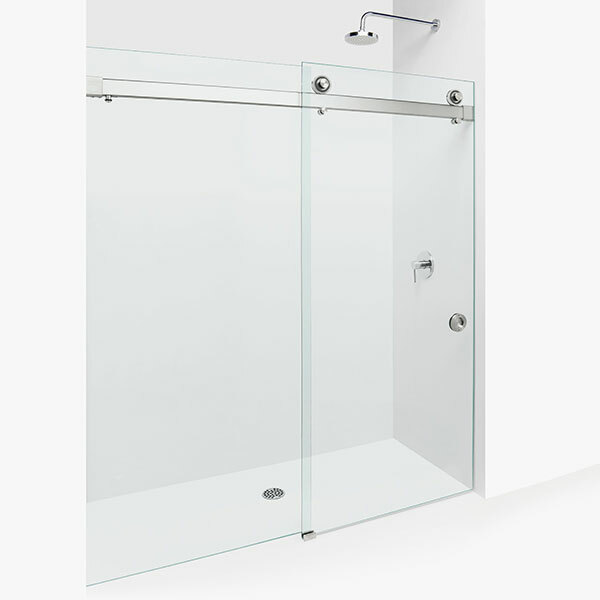 Easily the cleanest-looking system available for sliding glass shower enclosures. 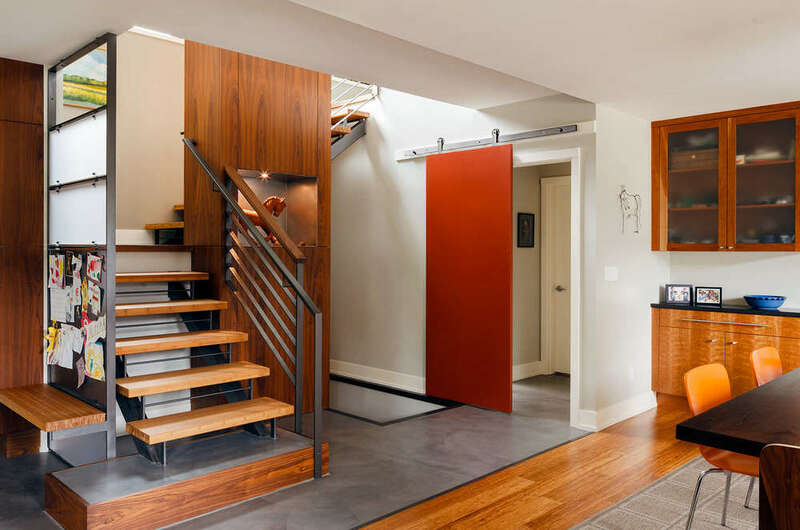 ADA compliant pull force when system is fully loaded. 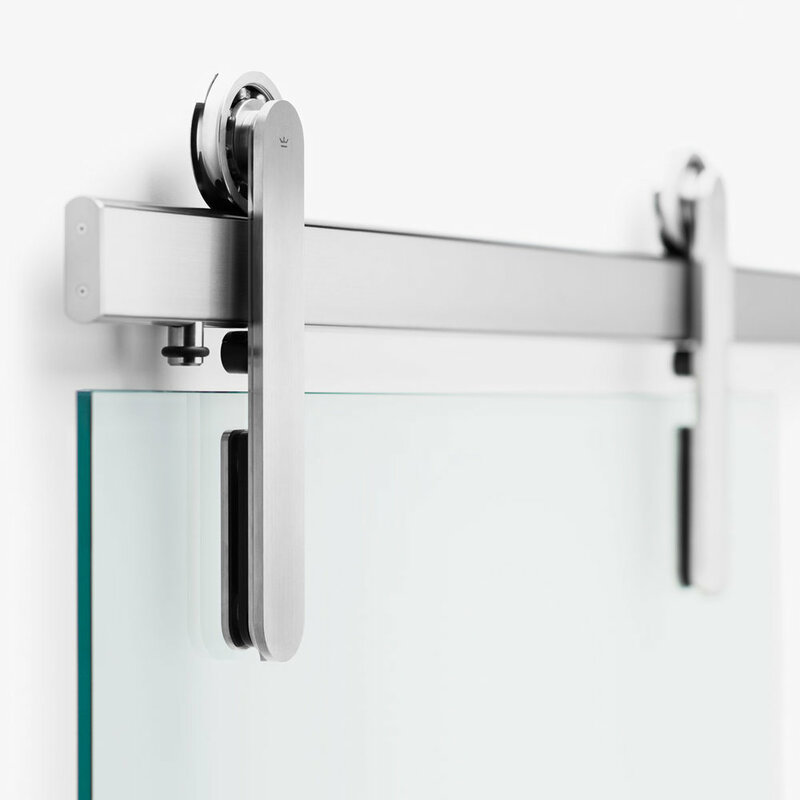 Configurable for 36" clear openings for roll-in entry. Perfect for hospitality and health-care projects. 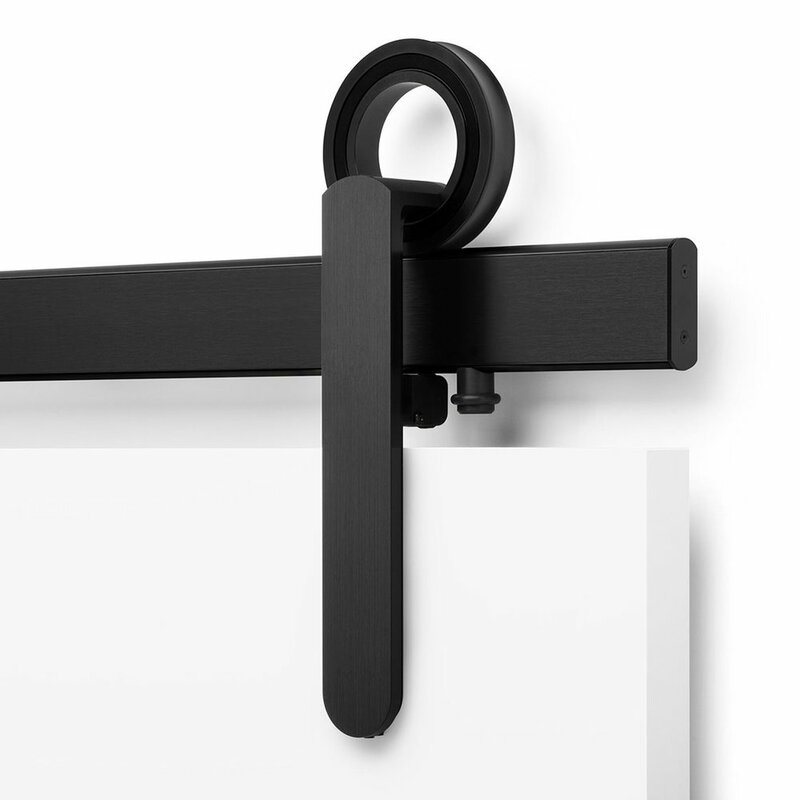 For sliding panels ¼" to ½" thick weighing up to 150 lbs. Fixed panels can be 3/8"-1/2" thick. Maximum Door Weight : 200 lbs. 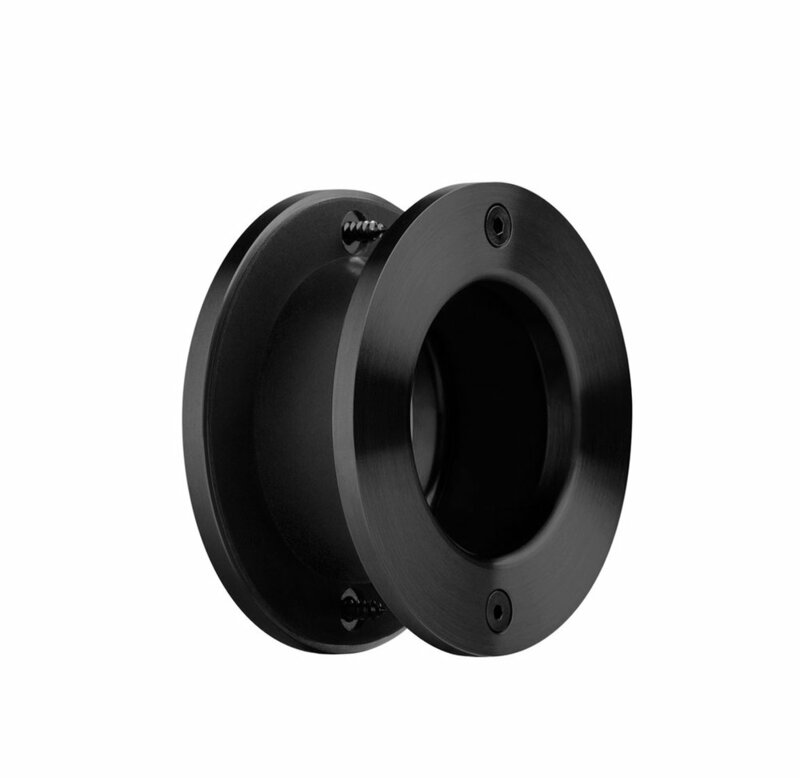 Made from 1/4" thick raw untouched carbon steel and Krown's premium black steel finish (not a painted finish) so you can cut Axel's three standard track lengths on site.